City Crab has a special place in my heart, it’s a massive two floor restaurant where I’ve enjoyed seafood for the best of 10 years. Before I really ‘got into’ food, I learned the basics about seafood here. The restaurant has a pretty typical ‘old-school seafood restaurant’ vibe; wood paneling, high tables & the obligatory tank full of lobsters. 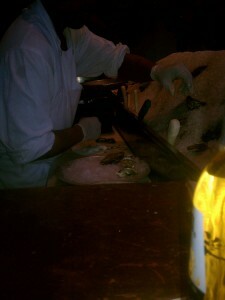 There’s also plenty of oysters on display where Juan has been shucking for as long as I can remember. Most of the clientele are from the nearby offices, but if you sit at the bar, you’re likely to run into some ‘locals’. 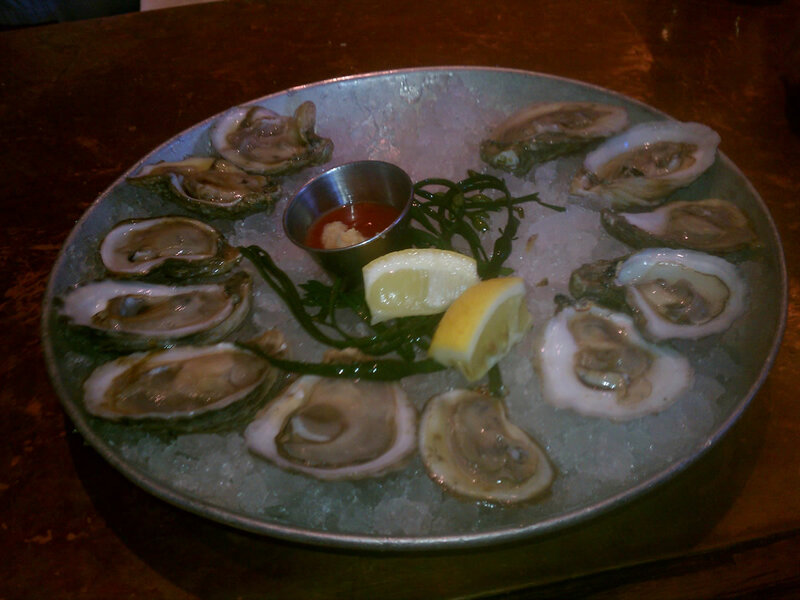 I pretty much have to order at least half a dozen oysters every time I visit and it normally leads to me ordering more. 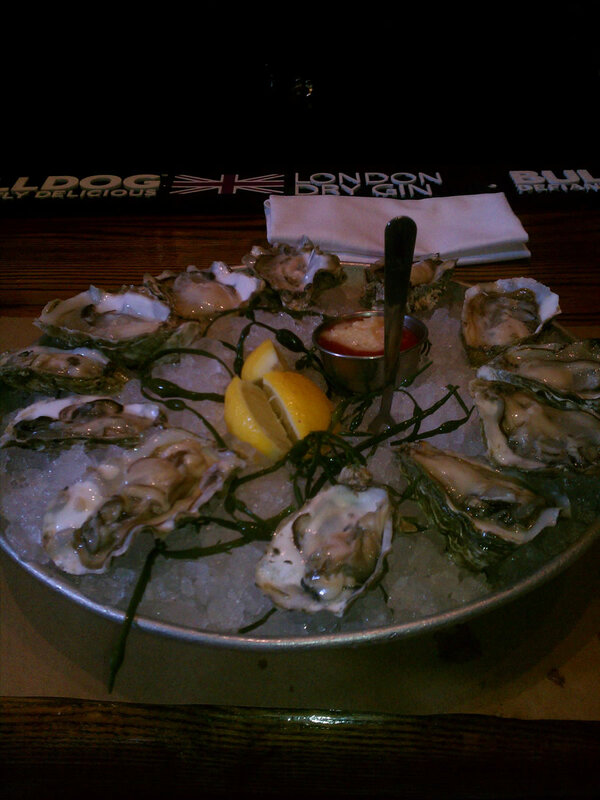 They have a selection of a dozen oysters hailing from both coasts. They’re always fresh & expertly shucked. every day from 4-7pm is happy hour when oysters are half price. City Crab have a Maryland Crab Soup & New England Clam Chowder, both of which are pretty tasty. They are both standard preparations so I’m not going to go into more detail. 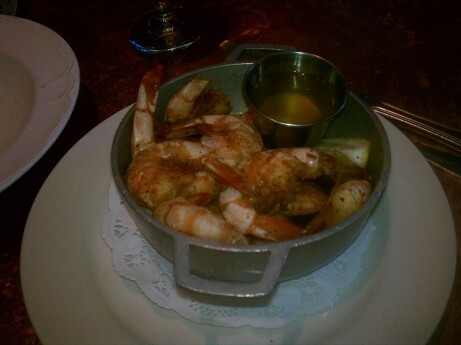 There is an extensive selection of shrimp, lobster and crab. 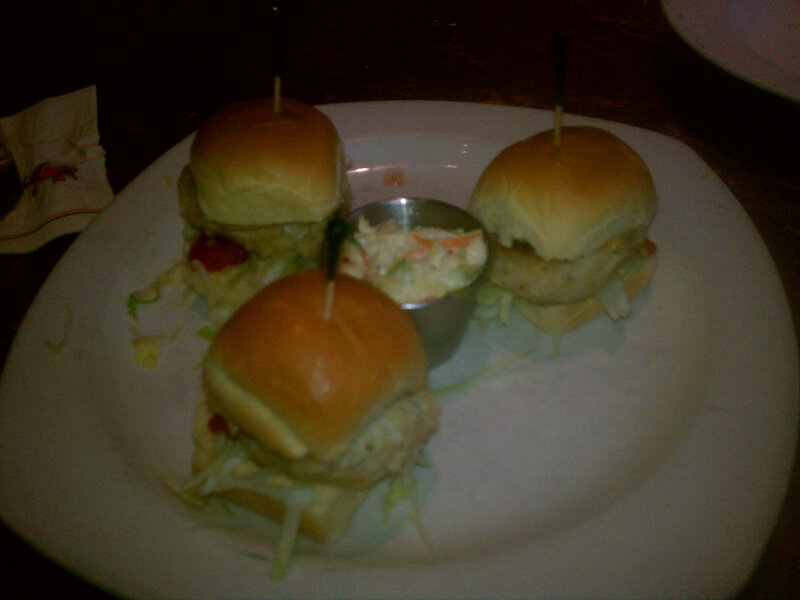 I’m a big fan of the Alaskan King Crab Legs & the Crab Cakes (seen here in slider form). The tanks by the door guarantee that you’ll be getting fresh lobster & crab. There are loads of other items on the menu ranging from steak to chicken & pasta, but I tend to stick to the basics & the dishes above are what I commonly order. They have a fully stocked bar with plenty of cocktails (try the Rocket Fuel with a 151 floater, just be prepared to be tipsy after just one) & several beers on tap. City Crab is out of my normal stomping grounds, but it’s worth the short trip. I’ve only ever had one bad meal in the 14 or so years I’ve been going there so they have a pretty good track record in my opinion.